Hurricane Maria, a superior category 5 hurricane, devastated Dominica on September 18, 2017. This entry was posted in chapel of the Epihany in Pichelin, DESTROYED by hurricane MARIA 2017, extension to Loubiere chapel, La Roche chapel, Loubiere chapel, MAHAUT RIVER chapel, Pichelin chapel, Sacred Heart church in Delices, St. Patrick's church in GRANDBAY and tagged destroyed by hurricane MARIA in September 2017, liturgical space, Place of Worship on January 24, 2018 by Bernard Lauwyck. 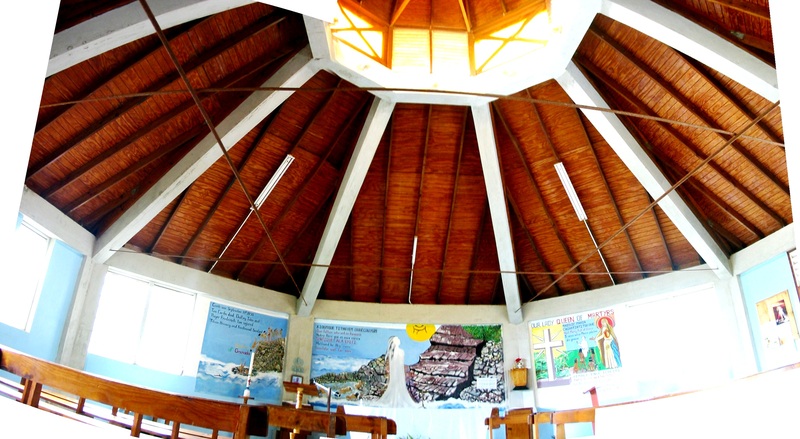 It is difficult to present an interior picture of the MAHAUT RIVER chapel, dedicated to Our Lady, Queen of Martyrs, AS IT HAS THE SHAPE OF AN OCTAGON. 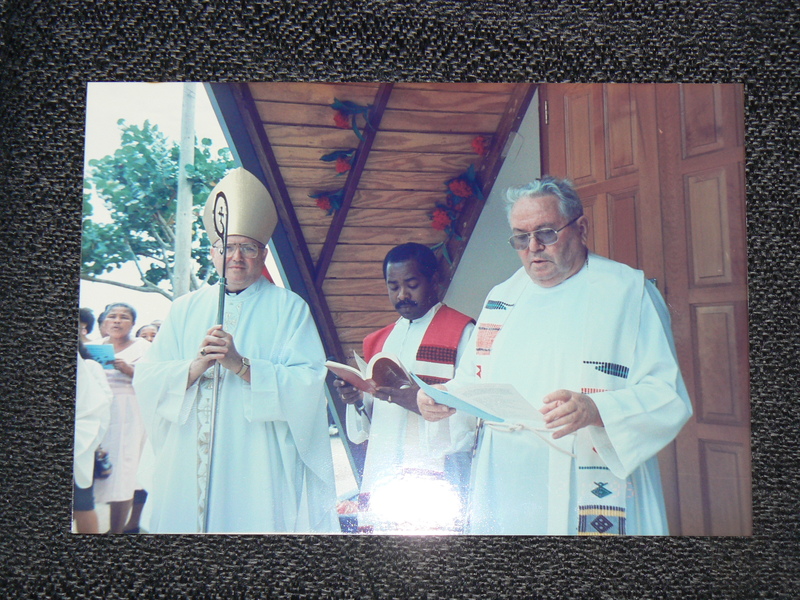 The chapel was Solemnly Blessed by His Lordship Bishop Edward Gilbert on February 19, 1995. One mural has the “Our Father” in the Kalinago language. I urge you to pay a visit and admire the beautiful murals created by local artist Faustulus .